Steel pieces are a material that is used in many structural strengthening applications. 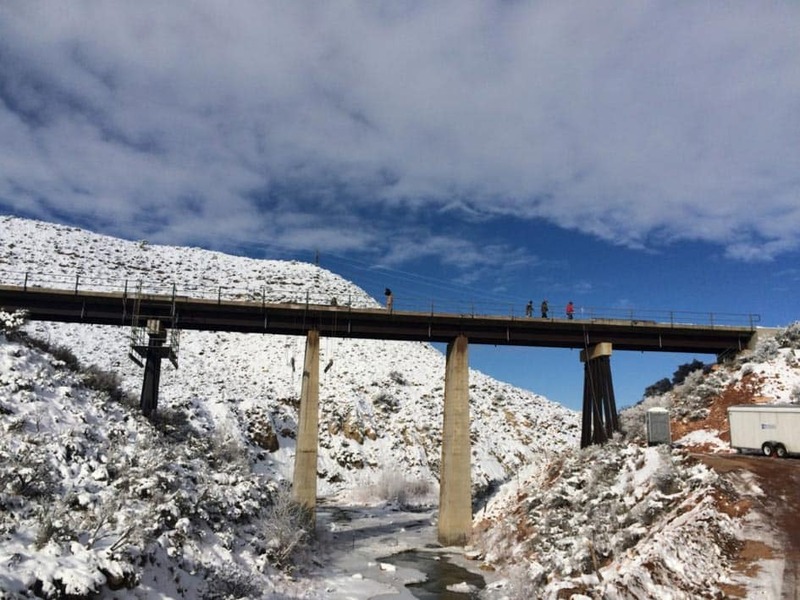 Recently, Restruction Corporation used rolled steel plates to confine a series of reinforced concrete bridge columns. The rolled plate formed a steel jacket. Fabrication tolerances of the steel are very demanding. A minimum 1” and maximum 1.5” space between the existing concrete column diameter and the inside face of steel is specified for the application of the steel jackets. Prefabricated steel pieces are erected in two pieces and required a full penetration weld, full height each side completed the steel application sequence. The annular space was grouted with high compressive strength cement grout to transfer the column loads into the steel jacket when needed. 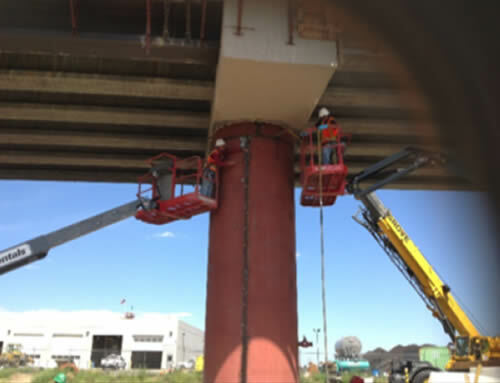 Confinement of in-adequate reinforcing steel lap splices in the column changed the height of each jacket dependent upon the location of the splice. A final coat of paint was applied for added protection. The reinforcing process of this bridge required an application which is outlined in the pictures to the right. If you have a similar structure and similar needs to this project, contact Restruction Corporation today.